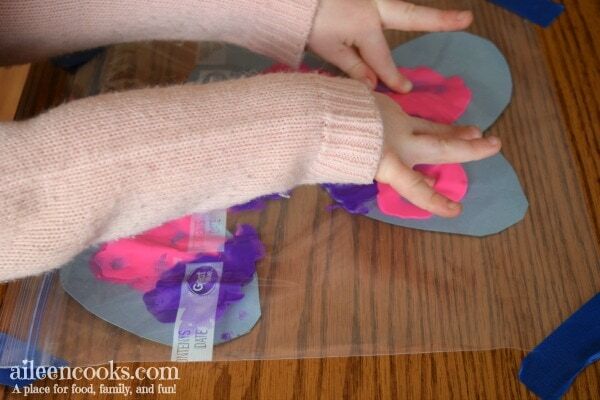 Have you tried mess free finger painting with your kids? It is so much fun and keeps their hands and clothes clean! 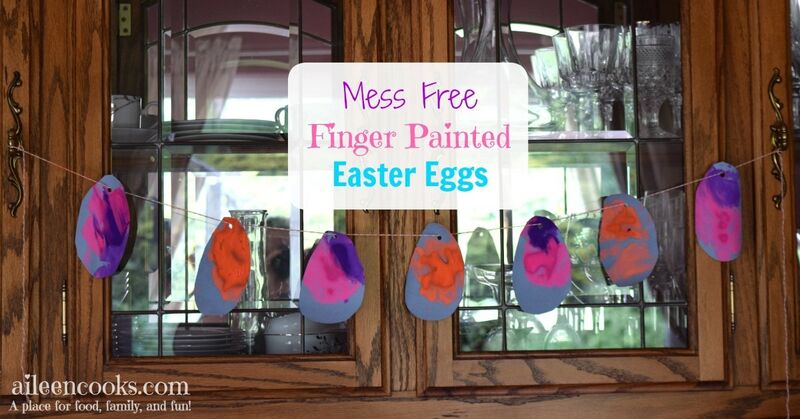 These finger painted Easter eggs are a great way to decorate for Easter with your kids. 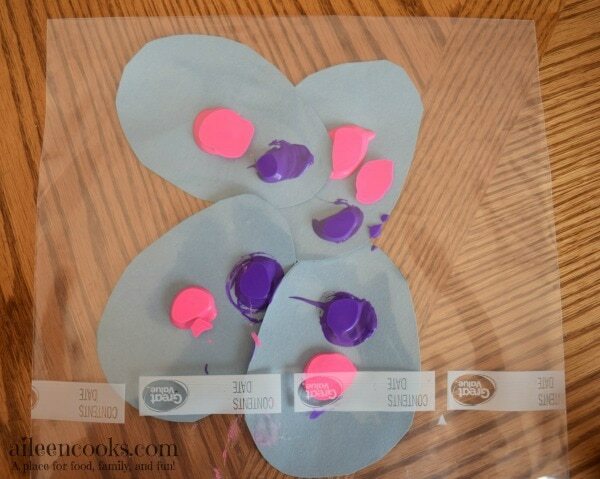 I made this craft with my toddler and baby. 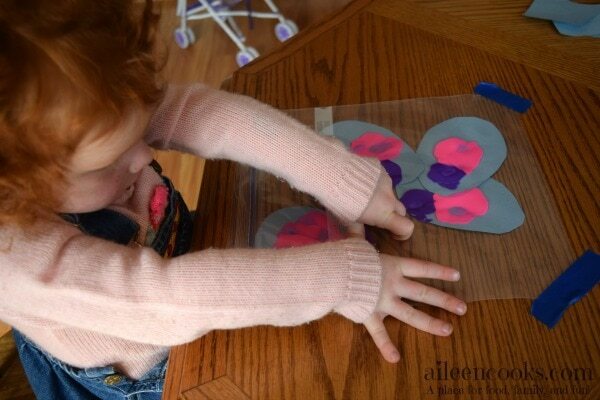 It would be a great project for a preschooler, too! 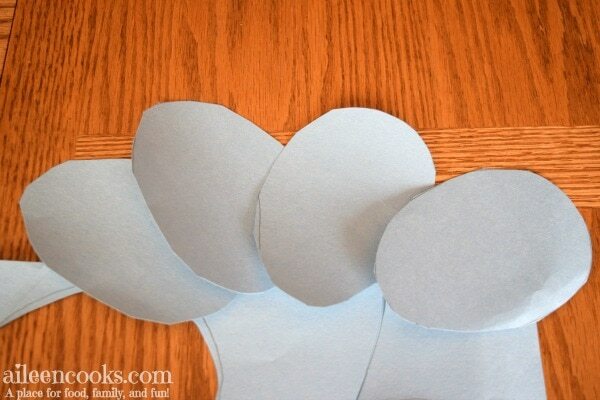 Start by drawing 4 inch Easter eggs on your construction paper. I drew one, cut it out, and traced the rest on so they would be uniform. If your kid has strong scissor skills, they can help with this part. I did this project with my 2 year old and 6 month old, so I did the cutting and tracing. 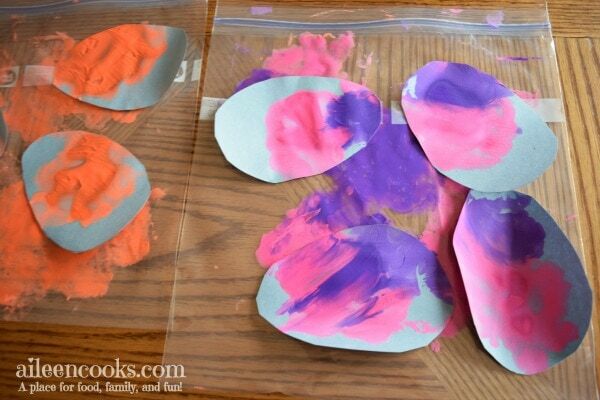 Place 4 eggs in each bag and top with your choice of finger paint. 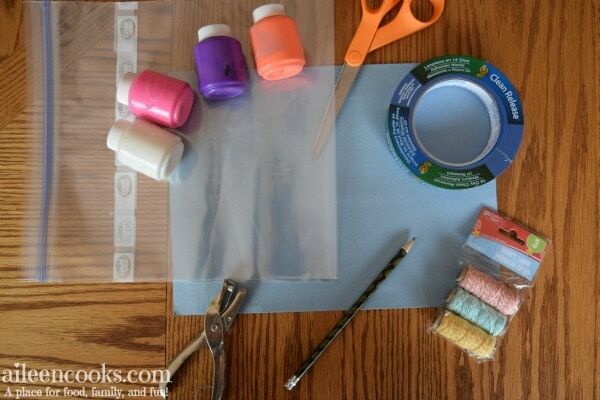 Close the bag and tape it to the table in front of your child. Let them mess free finger paint as long as they like. 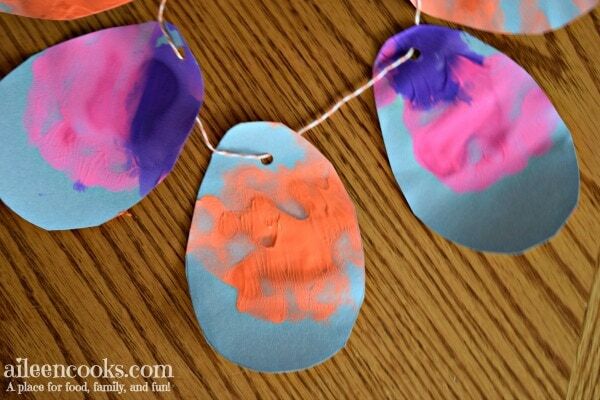 Once they are finished, carefully remove the finger painted Easter eggs and let them dry. Punch a whole in the top of each egg and string with craft twine. 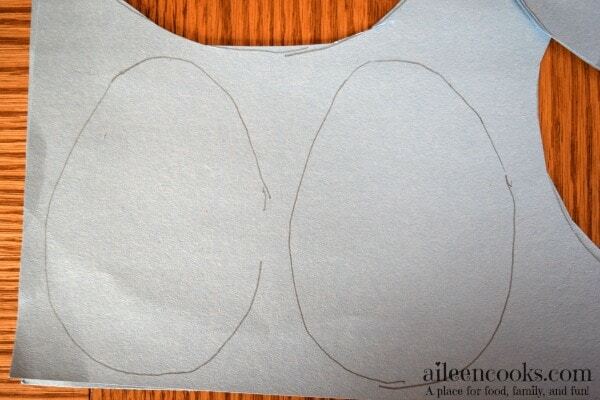 Hang up your child’s creation for Easter! We hung ours up in the dining room, but it would be fun in an entryway a bedroom, too! I also create a fun video for you. See below. Don’t miss out on the fun! Subscribe to our newsletter and never miss a fun project! Note: This post contains affiliate links. Read our disclosure policy here.